Are you one of the lucky ones who have a garden in your home? Today we will give you 3 tips so you can take full advantage to the garden of your house, so that in addition to being a nice place, it is a convenient place. Today more and more people who bet on the artificial turf. Artificial lawn has many advantages compared to natural grass, on the one hand, does not need constant care, as is the imperative need to cut the lawn every little time. 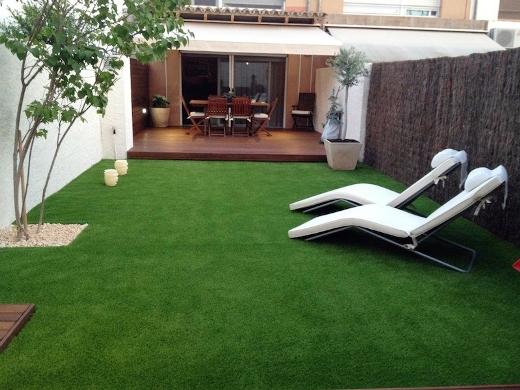 The artificial grass, in addition, has a lower cost of maintenance, so betting on it in addition to saving your time, will be cheaper in the long run. To take advantage of your garden, it is necessary to be practical, and for that you choose outdoor furniture that is functional. For example, do you have a porch? You can place chairs and a table to create an outdoor dining area for the summer season. Bet on a sturdy but comfortable furniture. Nowadays there is a great variety of furniture that will help us to have a nice garden, such as garden beds, hammocks, modern sun loungers. Other important things you should consider is the lighting of the garden because if we want to enjoy it, it is important to have a well – lit area. In the market there are several possibilities that will help you to have a bright and beautiful garden, some of them with modern options that also have a very low cost, such as outdoor lamps that go with solar energy. You should also think about which zones are the ones that you use the most, to use more intense lighting in them. With these three tips you will getting a perfect and practical garden that will be able to use whenever you want.